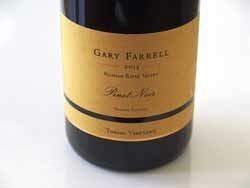 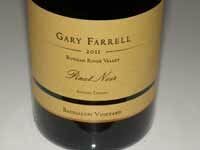 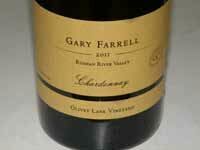 Winemaker Gary Farrell shunned the limelight but his Pinot Noirs did plenty of speaking. 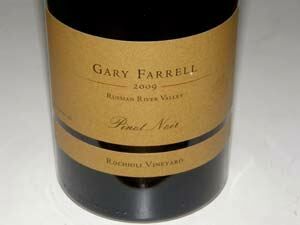 He was the original winemaker for Rochioli and Davis Bynum, and worked with seminal Russian River Valley vintners such as Joe Rochioli, Tom Dehlinger and Robert Stemmler, and his Pinot Noirs as well as other varieties were nothing short of stellar. His winemaking career dates to the mid-1970s and he made his first wine under the Gary Farrell label in 1982. 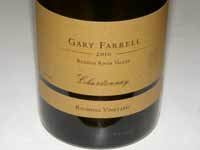 Along with investor Bill Hambrecht, he built his own architecturally stunning winery on Westside Road which was sold in 2004 to Allied Domecq. 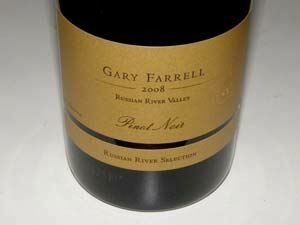 Later it was acquired by Fortune Brands, then owned by Ascentia Wine Estates, and sold to The Vincraft Group in 2011. 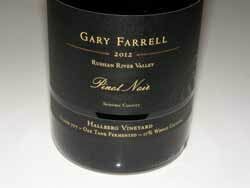 Farrell left his winery in 2006, and started another label, Alysian, and left the wine business in 2013, his last vintage being 2012. A wonderful story about Gary Farrell should be notated here. 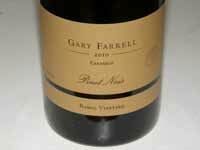 In 1981, while judging Pinot Noirs at the Sonoma County Harvest Fair wine competition, Andre Tchelistcheff was particularly impressed by a certain wine. 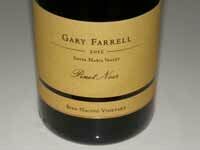 He said, "Whoever made it, he knows Pinot Noir." 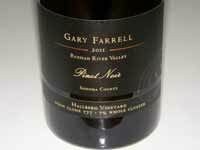 It was later revealed that the wine was the 1978 Davis Bynum Pinot Noir that Farrell had a hand in producing. 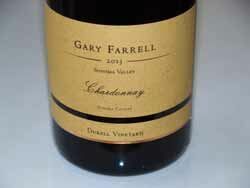 That was the first wine made by Farrell. 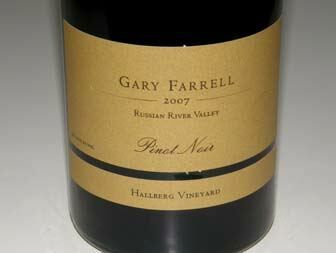 Tchelistcheff knew nothing about Farrell, but predicted great things for him. 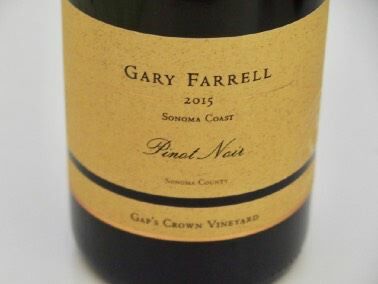 Today, Gary Farrell Winery is in the capable hands of The Vincraft Group, a fine wine investment company led by a trio of accomplished industry executives: Pete Scott, former CFO of Beringer Wine Estates, Walter Klenz, former President and CEO of Beringer Wine Estates, and Bill Price, owner of Sonoma Valley's famed Durell Vineyard and a partner in Kistler Vineyards. 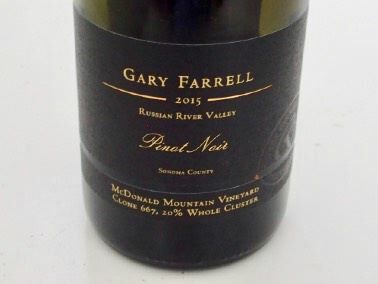 Vincraft is nurturing Gary Farrell's legacy of producing small lots of varietally expressive and regionally distinctive Russian River Valley Pinot Noirs and Chardonnays at a beautiful winery on Westside Road. 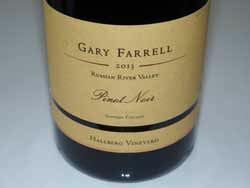 In 2012, Theresa Heredia, a highly respected winemaker who has long specialized in small-lot, single-vineyard wines, joined Gary Farrell Winery and is experimenting with new techniques to elevate quality further. 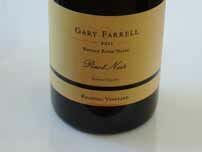 She came from Joseph Phelps Freestone Vineyards in the Sonoma Coast AVA, where she achieved critical acclaim. 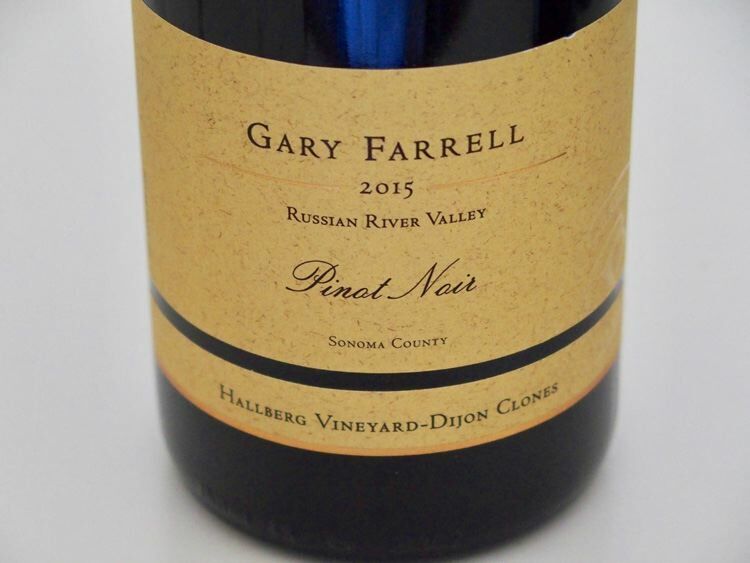 Heredia strongly believes in the Russian River Valley's capacity to consistently produce world-class wines that boast bright aromas, intense, yet supple flavors, and exemplary balance. 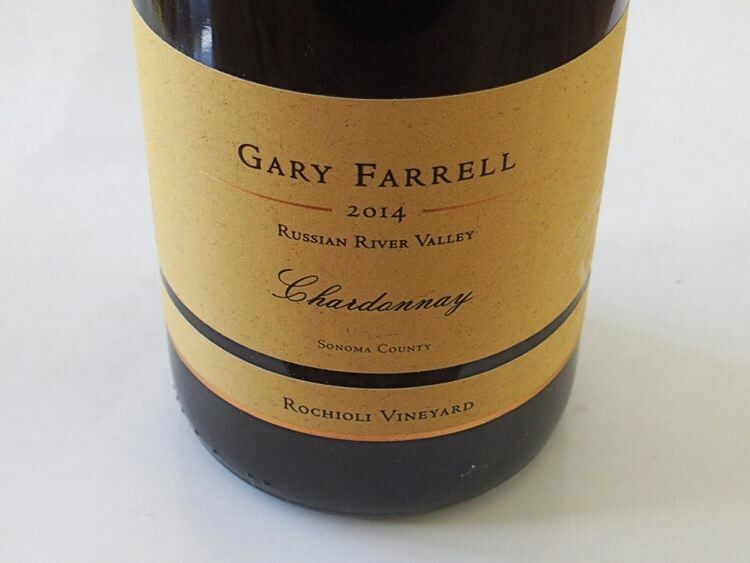 For Chardonnay and Pinot Noir, the Rochioli, Allen, Bacigalupi and Hallberg vineyards provide Gary Farrell Winery with both older heritage selections and a diverse array of Dijon clones. 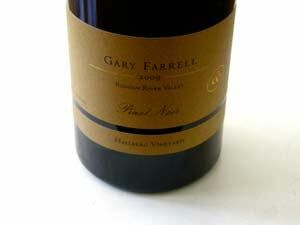 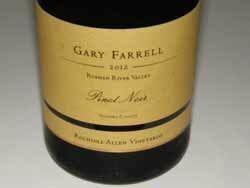 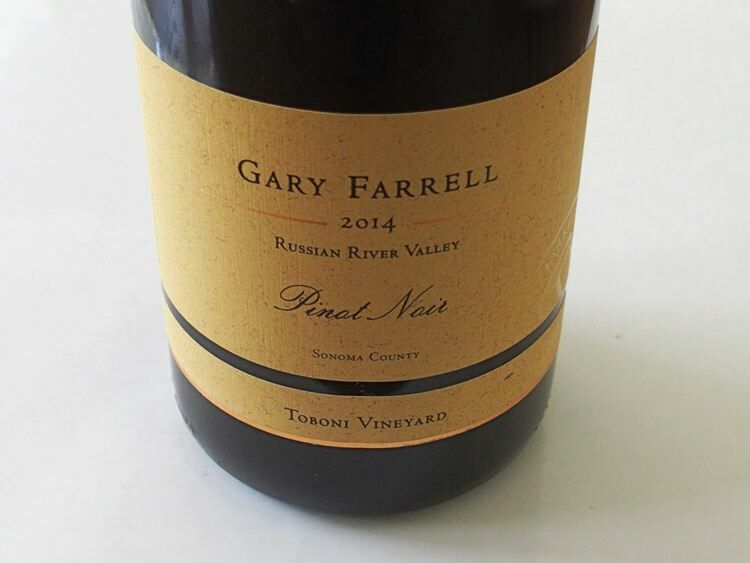 Two Gary Farrell Winery wines are produced in sufficient quantities for distribution to retail shops and restaurants: Russian River Valley Selection Pinot Noir and Russian River Valley Selection Chardonnay. 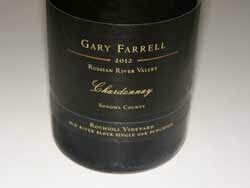 The Selection bottlings are quintessential Russian River Valley wines blended from grapes from the winery's top vineyard sources. 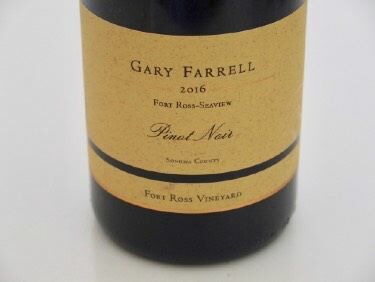 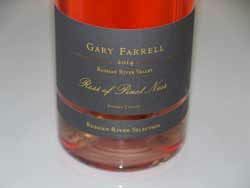 Gary Farrel Winery also produces a bevy of limited-production, single vineyard bottlings of Pinot Noir and Chardonnay, most of which are sold exclusively at the winery, to wine club members and online. 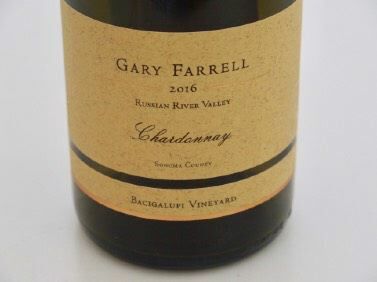 Gary Farrell Winery is seeking to elevate wine quality even further by seeking additional elite grape sources within the Russian River Valley. 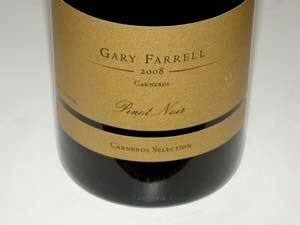 Production is scheduled to expand from its current 20,000-case level to 30,000 cases, at the most. 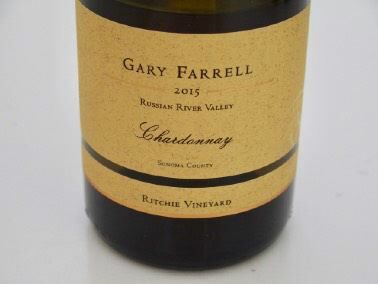 A tasting room at the stylish winery has breathtaking views of the Russian River Valley and is open daily by appointment.